The first can be swimming in public p0ols. Unfortunately some pools are not always kept as clean as we would like. Swimming in pools that have not kep clean can pose an infection risk both for middle ear infections which can affect the balance, but also for respiratory tract infections. Respiratory tract infections can progress to become vestibular neuritis or labyrinthitis, a common cause of vertigo. On the flip side, some people react badly to the chlorine, particularly in heated pools. Because of the higher temperatures, heated pools need higher levels of chlorine to kill the bacteria that prefer those environments. Unfortunately chlorine is a toxic gas (hence its use to kill bacteria) but those with sensitive vestibular systems may find it produces dizziness due to the toxic effects on the cerebellum. Also the temperature changes of warm or cold water in the ear in those with sensitive balance systems may provoke vertigo and dizziness symptoms. Maybe consider ear plugs. This will help keep water out of the ear, and therefore be less likely to cause problems due to temperature changes. Those with BPPV may find that the rotation movements with strokes like freestyle or crawl cause an aggravation of their symptoms. In that case maybe consider other strokes like sidestroke, backstroke or breaststroke as alternatives. So let me know have you had any issues with swimming and vertigo? Did you find any ways to overcome it? I usually swim a minimum of 1 km each day, I also use earplugs to stop water getting into my inner ear as it did several months ago. The pool is 14 meters long so I am constantly doing turns which probably don’t help my balance. 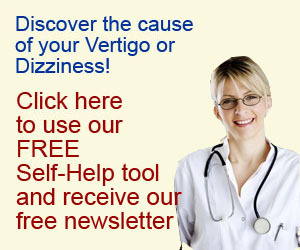 For several years I have lived with a controlled vertigo, this is not ever been a major problem or concern to me but suddenly I was in an attack with my loss of being able to coordinate my arms and legs, I was fortunately close enough to grab hold of the edge of the pool and drag myself to the stairs and get out. For 2 days I was feeling washed out, I rested for another 2 days and yesterday late afternoon I started swimming again however small anxiety of what could have happened if I was not able to get to the edge and out, but no attack of vertigo. At the time of the attack I was using earplugs, these are in no way a worry to me to use, and everything is so peaceful with no outside noise. Not sure if you have been assessed by a professional. If you haven’t it would be worthwhile. 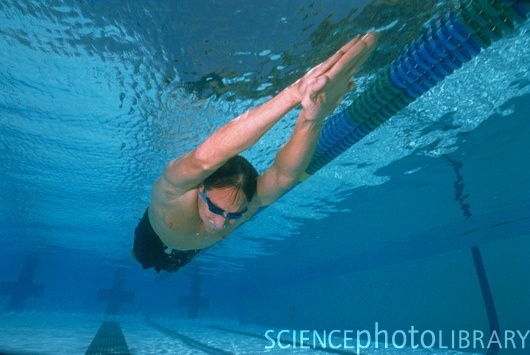 Often vertigo attacks while swimming are BPPV. Yes I have been assessed many times professionally But never in relation to vertigo and swimming, that is how I found your site. Vertigo has never been a problem to me in everyday life, never while driving, once while driving a motorbike but easily able to stop and wait until it had gone. But swimming out of my depth with a sudden attack was a massive fright with the thought of possible drowning. Years ago I owned a powerboat for skiing and while the boat was moving no problem but if I attempted to fish from the side then motion sickness. If I was in a large boat seasickness is a 100% unless the water is dead calm. Sorry what is BPPV not familar with it. BPPV is where you have loose crystals in the ear that can be provoked by movement. There is a post on it here. Since we last talked I have read all of your links and others on this subject. As vertigo symptoms are supposed to be generally, room spinning, or room still and self spinning, to be honest I can say this has never been a part of my attacks, many years ago I perhaps was incorrectly diagnosed in Australia as vertigo, with dizziness being my only problem, since you and I have first spoken my dizziness has been with me on and off, I continue to swim not as far and fast as before and am trying to do softer turns at the end of each lap. Your thinking towards BPPV could be closer to the problem, and on a web page there was exercises to help if some crystals have been dislodged, I have learned to live with it but swimming is obviously a triggering factor for more confusion to my brain.